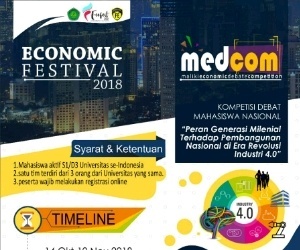 We challenge you all geeks,makers, electronics aficionado, code whiz,and literally everyone in Indonesia to join us in our first IoT Innovation Challenge. This year's theme is ESP8266. 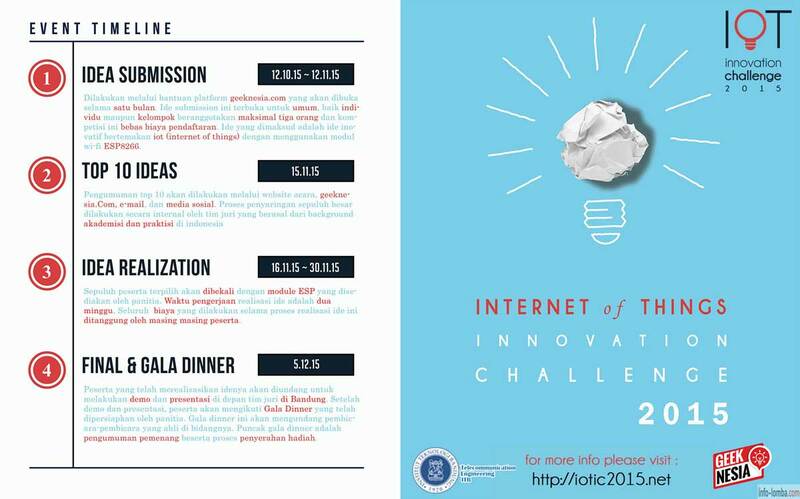 Submit your ideas before 12th of November 2015 11.59 pm. 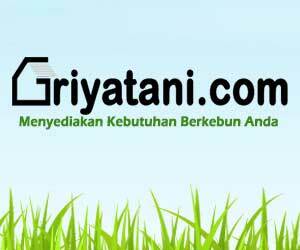 We've prepared a total of 15 million rupiahs for the all the winners. Do not miss your chance,submit your idea now! p.s. 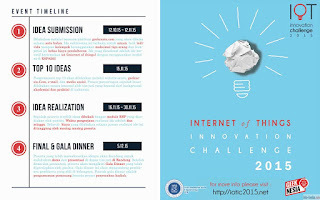 this competition is completely free of charge so please do not hesitate to join"
0 Response to "IoT Innovation Challenge 2015"